Jacob Fletcher is one of many riders returning to the Eventing Prix Invitational. Photo by Jenni Autry. 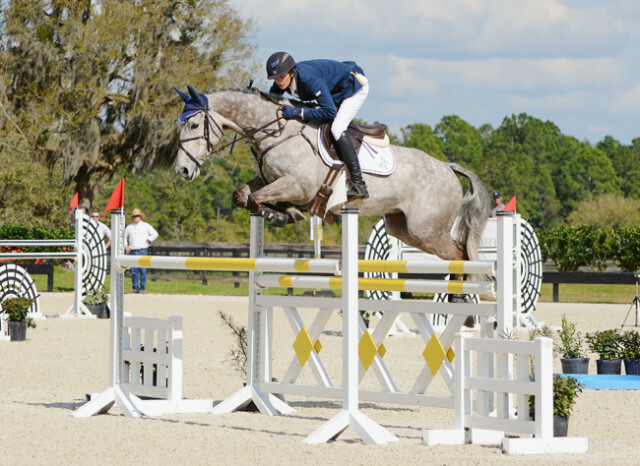 The eight team captains have chosen their riders for the $20,000 Ocala Horse Properties Eventing Prix Invitational, which will take place March 4-5 at Southern Cross Equestrian in Reddick, Florida. That’s right — the prize money has been boosted to $20,000 for the first time in the history of the competition! The show kicks off on Monday, March 4 with a $1,000 1.15-meter speed class sponsored by Doug Hannum Equine Therapy. The 1.30-meter class will take place Tuesday, March 5 in a team format. The first round will determine the team results, and the top 10 combinations — or all pairs that jump clear in the first round — will return for the second round jump-off. The 1.30-meter main class will once again be streamed live here on EN and on EQTV Network with commentary. For those who are going, general admission is free to the public on both days. Brewster Walker Horse Transport is providing free beer, as well as sponsoring a $500 Grooms Award for the best turned-out horse. Food will be available for purchase from Humble Wood Fire Pizza. Sponsorship opportunities are still available. Contact Lisa Thomas at [email protected] for more information about sponsorship. Reach out to Max Corcoran at [email protected] with any questions about the competition.